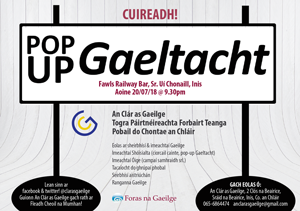 An Cumann Scoildrámaíochta, which is under the patronage of the Department of Gaeltacht and Rural Affairs, organises Schools Drama Festivals on a Countrywide basis to promote Irish medium drama in schools. Primary and Post-Primary schools take part in these festivals and over 10,000 school children participate in them each year. The Drama Festivals are organised on a Local, Regional and National basis. These festivals give young people from every part of the Country the opportunity to be directly involved in all aspects of drama production. 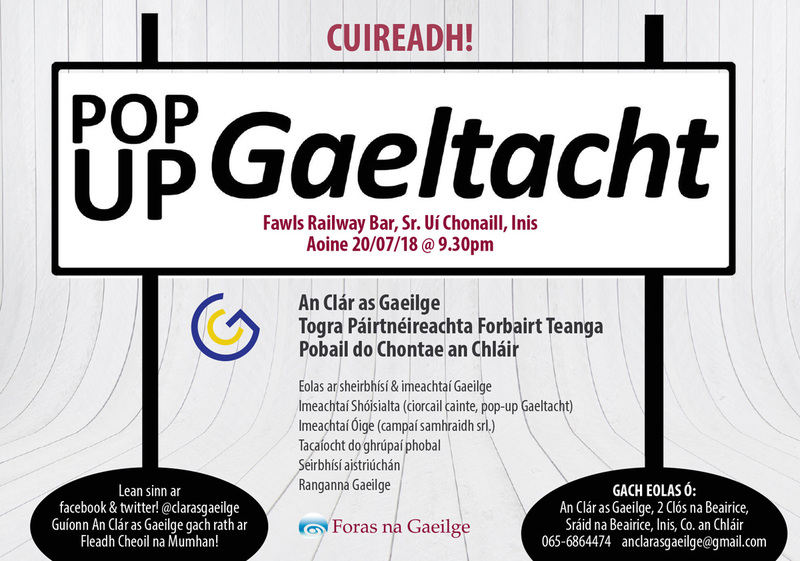 As well as being a hugely enjoyable experience, participation also it helps to build self-confidence, self-esteem and an overall fluency in the Irish language. Part of the fun is the competition element with the standard rising year after year. The festivals begin with the Local Festivals which are organised on a County basis in February and March each year. In county Clare the Festival has been held each year for over twenty five years. Today schools from all over the County gather the festival at Glór in Ennis to compete for a place in the Regional Finals, which are held in Ennis and in Cork on the same week-end. The winners from the Regional Festival go on to participate in the National Finals which are held in Mullingar in late April and Clare schools have been very successful in the National Finals in recent years.